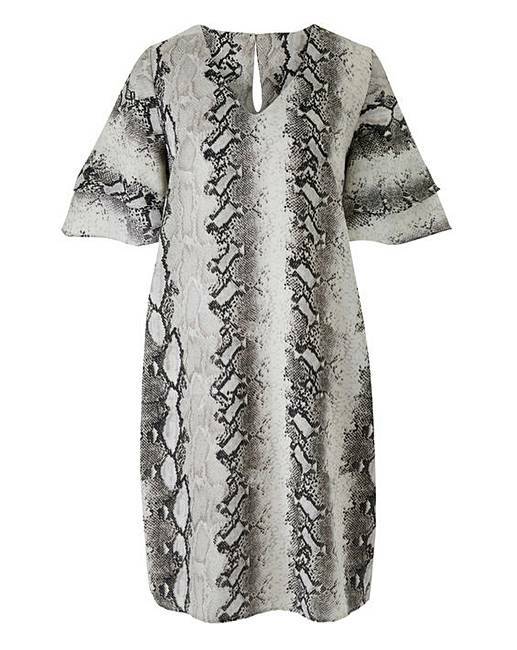 With animal prints taking over autumn/winter fashion this season you'll be sure to look on trend with this beautiful ruffle sleeve dress. Also a key focus this season, ruffles are totally on-trend right now and this detail to the sleeve helps create a really chic finish. 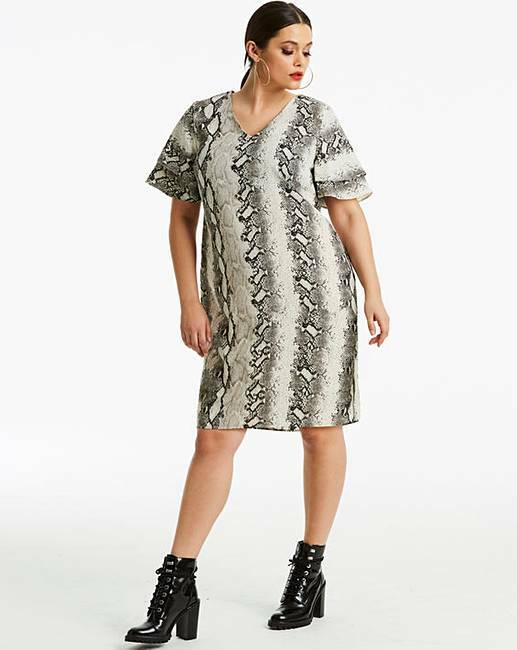 Cut to a flattering shift shape, this dress is adorned in a stylish snake print and can be styled up or dressed down easily to match the occasion. But, for an elegant and fashionable look that's sure to turn heads, team with a pair of heeled ankle boots and layer on the lip gloss!